Furama Villas Danang is a beautiful complex consisting of villas providing a private pool, fully equipped kitchen, and either beach access or a plush garden surrounding. The red-tiled roofs give the villas a distinctive Asian character influenced by the architecture of the royal temples and palaces while the lavish wood and marble interiors in state-of-the-art facilities help the guests to enjoy these truly special villas. Just a five-minute drive to Marble Mountain, a 20-minute drive to the UNESCO World Heritage Site of Hoi An, and only 15 minutes from Danang International Airport, guests are able to enjoy the many luxurious facilities and services including two outdoor swimming pools, bars and lounges which open until 2.00am, tantalizing restaurants offering Asian, Italian, and Western cuisines with experienced and professional staff, a kids club with fun activities for children, a gym, spa facilities, billiards, and two tennis courts. This guarantees a relaxing time at Furama Villas Danang. By the Ocean Pool with the view to the tranquil white powder sand - this openair is perfect for alfresco dinning - the ocean view bar provides peaceful atmosphere and serves a wide variety of light snacks refreshing drinks cocktail and alcoholic treats. Open: Daily from 09:00 AM to 10:00 PM at Furama Resort Danang. 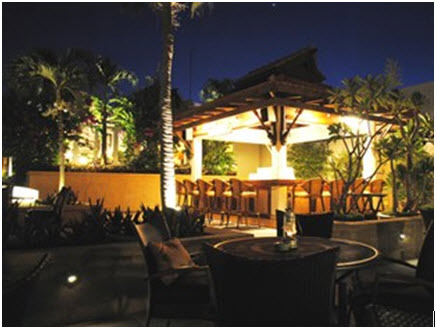 This Asian style restaurant is a bright cheerful place for light snacks while at night it turns more romantic. Guests can savour a wide range of international and pan Asian cuisines served by waitresses in traditional Ao dai outfits. There is an exotic menu of Vietnamese Chinese Malaysian Thailand Indian and Indonesian favourites prepared in the open show kitchens or over the BBQ. Open: Daily from 06:30AM to 11:30PM at Furama Resort Danang. A Western restaurant overlooks the white sands and catchs the cool breeze blowing from the East Sea. 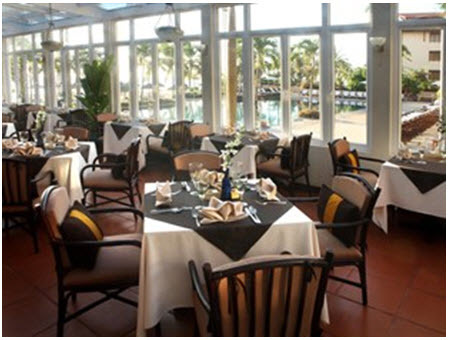 The Steak House is in a beautiful ocean front setting - merges the outstanding flavors of steaks from around the world. 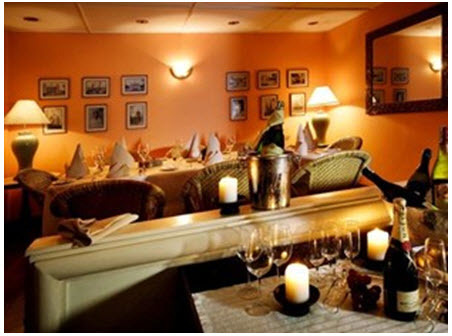 Focusing on the traditional tastes of steaks the restaurant offers a wide range of dishes from best quality imported meats served with a variety of signature sauces - introduces dinners into a tempting gastronimic experience with many choices of frillades. 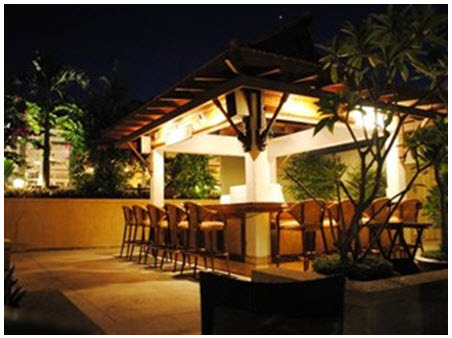 Open: Daily from 06:30 PM to 11:00 PM at Furama Resort Danang. 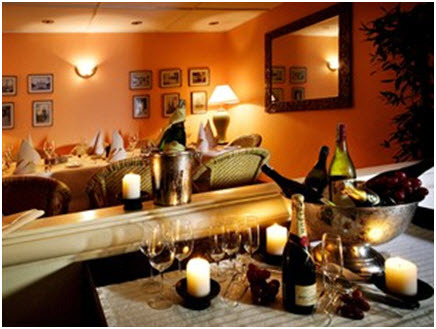 An Italian Restaurant with a choice of air conditioned comfort or poolside dining will create a truly luxurious Italian cuisine experience. Fresh local seafood of paramount significance in the restaurant with local varieties of shellfish and other local seafoods prepared in traditional Northern Italian style with further enhance Furama Resort Danang position as premier beach at Vietnam. 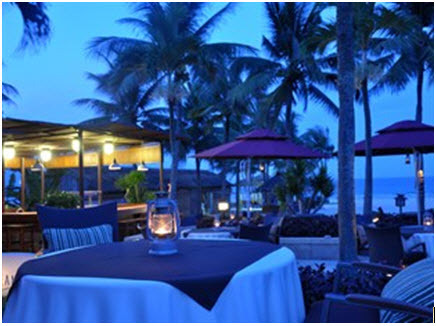 Open: Daily lunch from 11:30 AM to 02:00 PM and daily dinner from 06:00 PM to 11:30 PM at Furama Resort Danang. 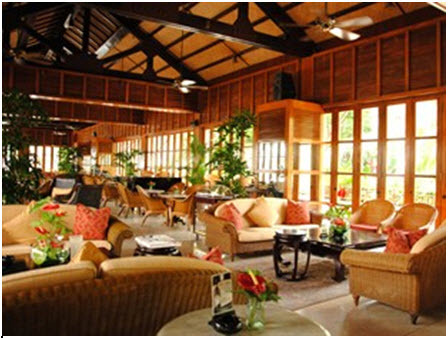 Guests enjoy cocktails and light snacks in a very relaxed colonial setting decorated with cane chairs and carved Vietnamese furniture. A pianist followed by our resident Filipino band entertains in the evenings. Free wireless internet access available at the outlet. Open: Daily from 09:00 AM to 02:00 AM at Furama Resort Danang. 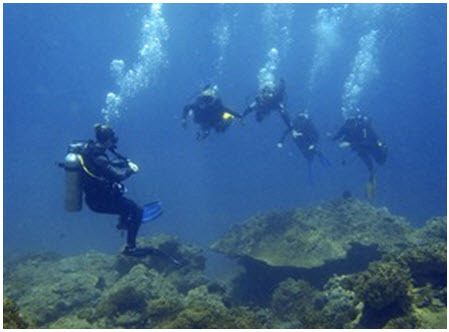 Diving Danang by Furama Resort Danang ia the sole operator for diving activities in this area with lastest equipments from Germany and Australia maintained to the highest standards of safety.